Rally Poland started with varied weather conditions that could hold a clue about what is to come over the next three days. Shakedown was held in largely muddy conditions, while torrential rain meant that the ceremonial start was cancelled. However, conditions later dried up sufficiently for the super special stage to go ahead this evening. The side-by-side 2.5-kilometre stage was made damp and slippery by the earlier rain, which meant that all three Toyota Yaris WRC drivers exercised extreme caution. Jari-Matti Latvala ends the day holding fourth overall, ahead of team mates Esapekka Lappi in sixth and Juho Hänninen in 34th, who received a 10-second penalty for a jump start. 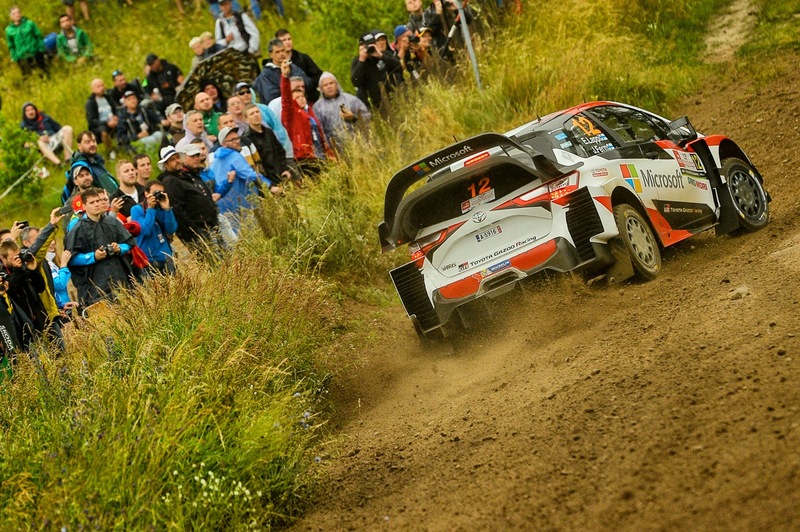 Lappi had a minor engine problem on the stage that did not affect his speed, and he could return to parc ferme safely.